Pharmacy 4 Less is offering free screening for members of the local community. 8th to 14th July is Australia’s National Diabetes Week, and though awareness of the existence of the condition is relatively high, Australians are often unaware of the specifics of the disease. Raising knowledge of the symptoms of diabetes is vital: over 600 Australians end up in hospitals each year after falling sick because of undiagnosed Type 1 diabetes, and there are as many as 500,000 undiagnosed sufferers of Type 2. Put simply, diabetes is a chronic disease that affects the way your body is able to regulate its blood sugar levels. Depending on the type of diabetes, sufferers either don’t produce insulin at all (type 1), or they don’t respond to it, or don’t make enough of it (type 2). Insulin is the key that allows our bodies to access the fuel in sugar – and so its lack means that diabetes in either form can lead to dangerously high blood sugar levels. This National Diabetes Week Pharmacy 4 Less is helping to shed the light on both types of the disease by offering nationwide free screenings for members of the local community to help identify those who are at a possible risk of Type 2 diabetes. Every store has the facility to test blood sugar levels, and those who are at risk will be referred to a doctor. The leading cause of preventable limb amputations. It also increases the risk of heart attacks and stroke by up to four times – it’s an incredibly serious disease that often isn’t treated as such. Type 1 diabetes has a string of early symptoms which, if recognised, can help diagnose the condition and help prevent life-threatening health problems that may occur if left untreated. These include thirst, frequent toilet visits, extreme fatigue, and weight loss. If Type 1 isn’t diagnosed in time, it can be fatal. Type 1 diabetes is most common amongst children and adolescents, so it’s important that the people around them are aware of and looking out for the 4 Ts – thirst, toilet, tired, thinner – and seek medical help as soon as there’s a concern. Pharmacy 4 Less are also helping to raise awareness for Type 2 of the disease. This form of the disease often isn’t diagnosed quickly – sufferers may have it for up to 7 years before it’s identified (many people have no obvious symptoms), and during that time it can damage blood vessels and nerves, which can lead to loss of vision, amputations, heart attacks, stroke and kidney damage. 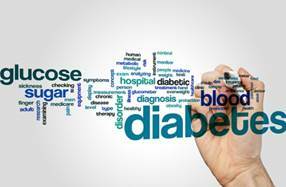 While family history and genetics play a role (you should be extra vigilant if you have close family members who are affected), the actual cause of diabetes is still unknown.